Have you been to Kimberly? No, I said. What's that? I'll show you now, let's have our meeting there, he said and whisked me away to Harrington Road. We had half our meeting in the car and the other half never happened. Nestled in a quiet lane off Harrington Road, Kimberly is a beautifully restored heritage property in which you can work. A nice co-working space on the first floor with the charm of a heritage property is rather rare to find. Maybe even non existent in Chennai as of now. But I was there of course for the food. The food is not playing second fiddle to the co-working space though and has clearly been well thought out. With multiple seating arrangements from a low seating hall to a full 8 seater home dining table, from an outdoor garden seating to an ancient patio seating, Kimberly is multifaceted. 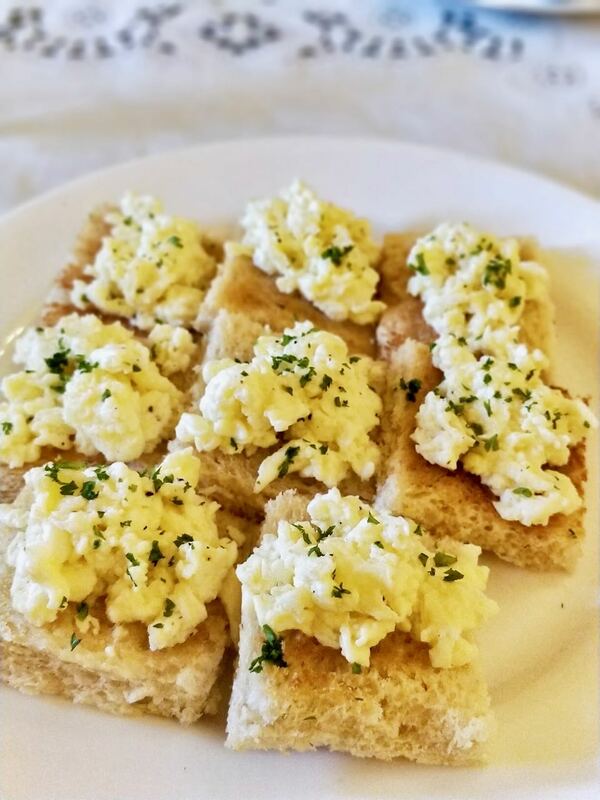 The cuisine maybe hard to connect with for the millennials - South Indian with Continental, but for those who have lived through the 80s and 90s, will connect with the old time multi-cuisine restaurants that served egg on toast with equal ease as masala dosa. The menu here is no different - French press co-exists with chukku kapi. 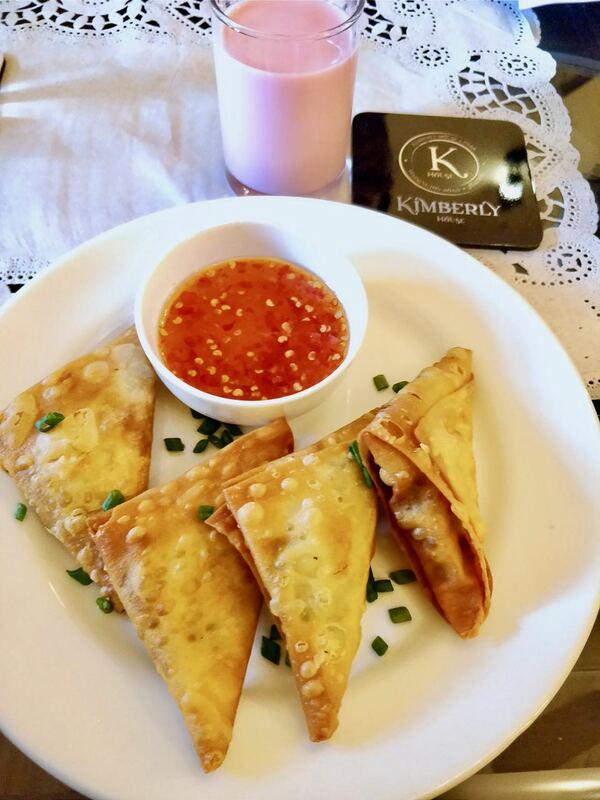 Our curried veg samosa cases was the first to arrive with nice creamy filling encased in a crisp casing. For some reason, this fried dish didn't feel very unhealthy. Maybe because the rose milk, a complementary drink washed it down well. 7 vadas in sambar was a slight miss. The sambar was a little too hot which made the vadas too soggy. A slightly less hot sambar may have made this a nice dish. The egg on tiny toasts were beautifully bite sized and the moist eggs were a far cry from the usually overcooked eggs on toasts. A hint of greens were pleasing both to the eyes and the palette. The star dishes came right at the end. Kal's Tea Rice. 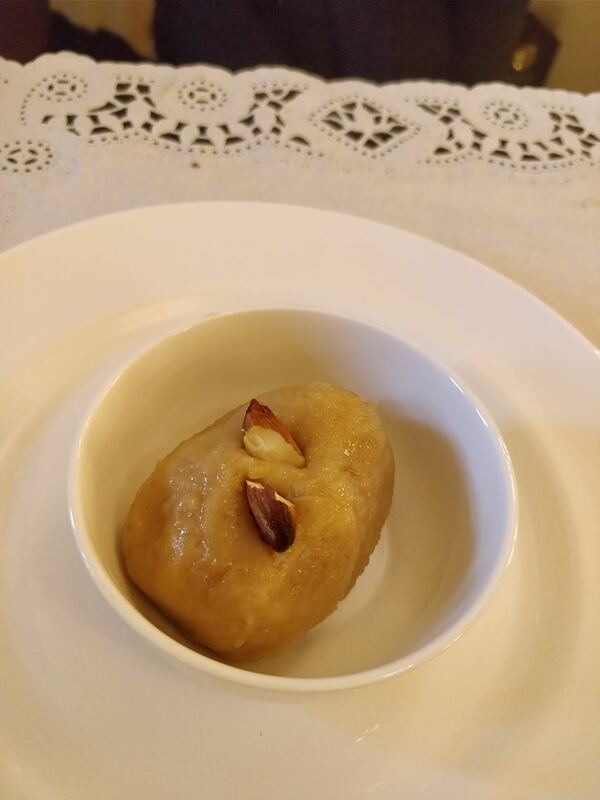 I have no idea if such a dish exists anywhere else or if the name is their own, but while the concept is not new, the flavours of this dish were brand new for my palette. 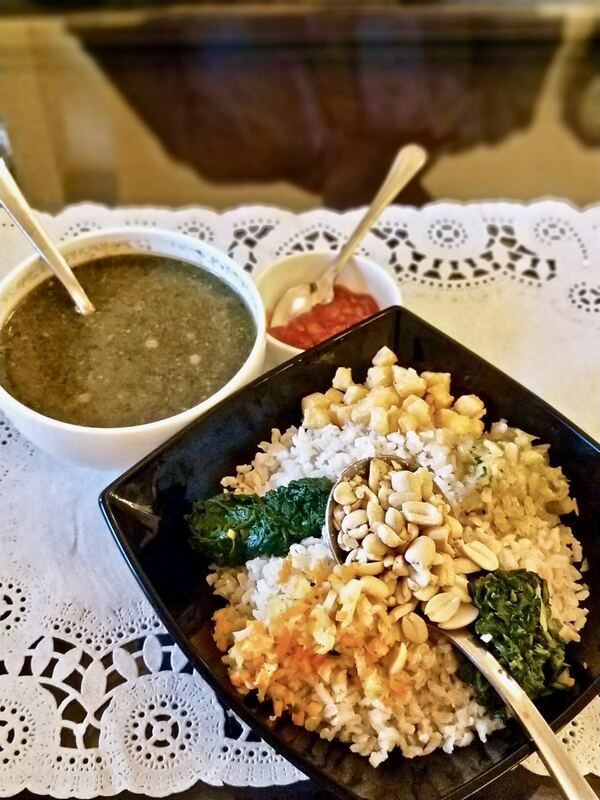 Brown rice with generous amounts of greens, peanuts and veggies served with a green tea gravy. While the first spoonful wasn't the blow-your-mind type, the fifth spoonful was. It took a few minutes for the palette to adjust and once it did, I found myself going back for multiple spoonfuls. If I was working upstairs, this is what I would probably have for lunch everyday. We finished our unplanned mid evening meal with Akkaraivadisal. Apparently a household sweet in the Brahmin family (and I am now going around asking all my Brahmin friends why I never got to taste it for the past 3.5 decades), this was a fabulous sweet that I need to taste again to even attempt to describe. All I can think of is ghee! 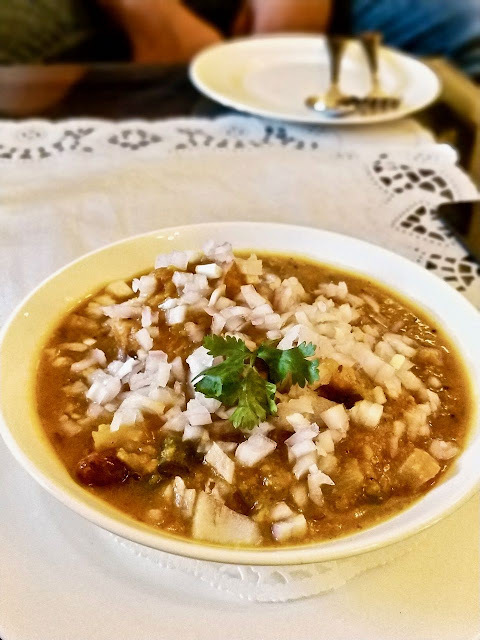 Close to the 'OUT' gate of Pachayappas College, Kimberly is the new kid in the block with a menu that is not run of the mill, an ambiance that is definitely heritage-y and a co-working space that should make you want to work. Our bill was about Rs. 920 for the above including taxes.